I don't know about you, but I loved making Creeper Crawlers when I was a child. My dad and I were all about it. I can't tell you how many times I burned myself on that stupid oven. Get me near a real bug and I'll freak out! Today's look is a little subdued. 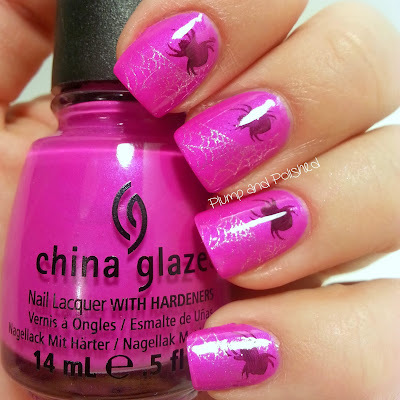 I did some simple nail art with a Bundle Monster stamping plate. Check out all the details after the cut. Pictures were taken in artificial light. 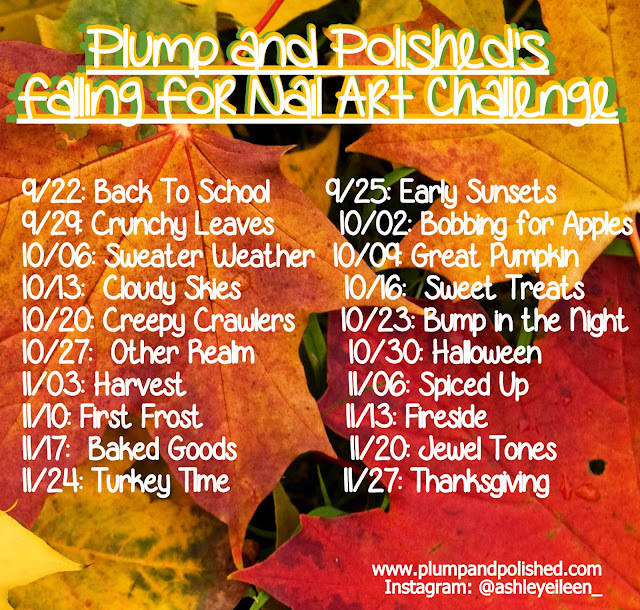 I went with the Purple Panic because I feel like I've been using a lot of darker colors for this challenge. This was just the pop that I needed! It has a really pretty purple flash to it. I think a white polish might have worked better the silver for the spider webs. It's a bit more hidden than I would have liked. 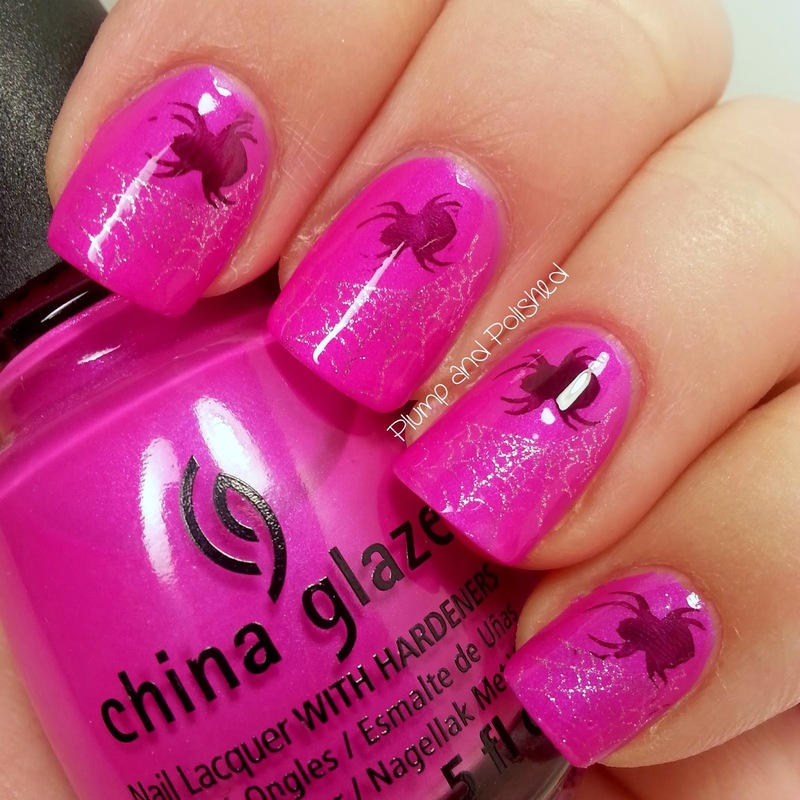 The spiders were a no brainer. How's the lighting look? I think I finally figured it out. I've been toying with it for months. So much for that fancy light box I bought! It didn't work for me. Anyway, this look isn't exactly what I was going for, but I'm digging it. What do you think? Amazing! 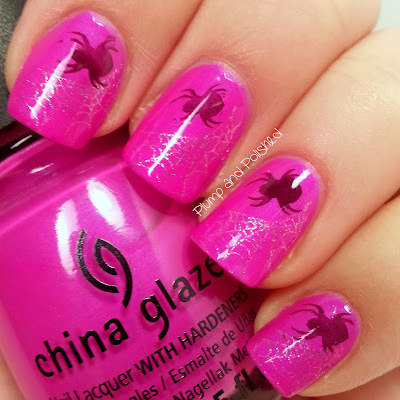 I don't like spiders, it's one of this thing that I'm really afraid of but your mani looks so great! 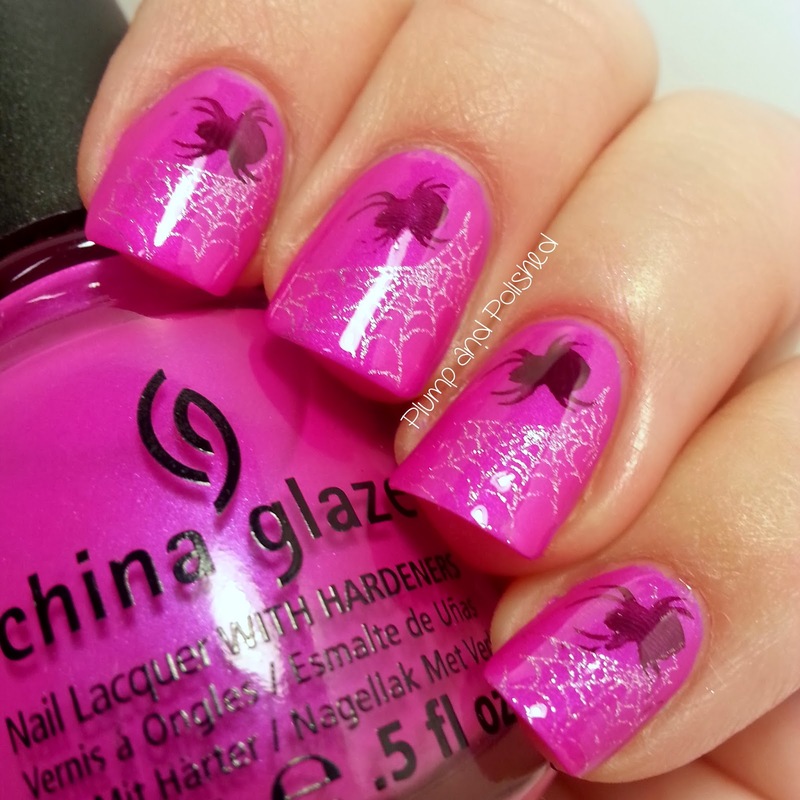 Especially the spider web, love it!